RLGT Mix: 90’s Kid #TBT Mix (Pt. 1) – redleafgoldteeth. As some of y’all may know, earlier this week we hit 100 Facebook likes (Like Us Here: Redleafgoldteeth. ), and as promised, here is a little thank you, from all of us! We took the liberty of throwing together a little #TBT mix for you… but this ain’t your regular throwback mix. This one is specifically for us 90’s kids, who weren’t fortunate to grow up with the real classics (as much as we’d like to pretend we did). These are the ones WE grew up with, and the ones that will forever be apart of our childhood. These are the tracks we listened to on the radio on before bed, or on way to the lake as a kid, or at our very first middle school dance. 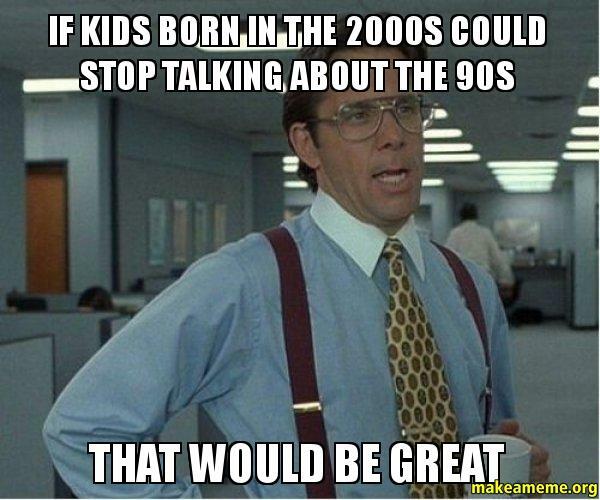 THis is for the kids BORN in the 90’s, but who grew up mostly in the 2000’s. Listen to the 20 song mix below, or over on my 8tracks account (hereeeeee). Sit back, relax, and reminisce on all the good times you had listening to these songs, chance are you will be able to sing along with more than 75% of the songs on this one. Let me know in the comments here, or on 8tracks which songs you want to here on our next mix! Also, let us know what you want us to do for our next big goal, 1000! One step at a time though, this is just the first of many surprises y’all can expect! Pingback: Bermuda Shorts Day 2015 OFFICIAL Party-Pre Mix | redleafgoldteeth.